As a working mom, one of the most valuable things I own is a breast pump for my office. It's gotten so much use in the three months I've been back at work. Awhile back, I was given a hand-me-down breast pump motor, and I kept it in storage. As time went by, I read lots of articles warning against using secondhand pumps because of the potential for bacteria/mold growth and contamination within the parts that you either can't see or clean. Plus, most breast pumps are built for a single user, so by using one secondhand (even if you purchase new connector accessories) you void the warranty on it. Most single-user pumps are open-system pumps, which do not have a filter or barrier between the milk and the motor. Closed-system pumps do have a barrier, making it possible for them to be donated, although the next user would still need to get new accessories to use with the pump. 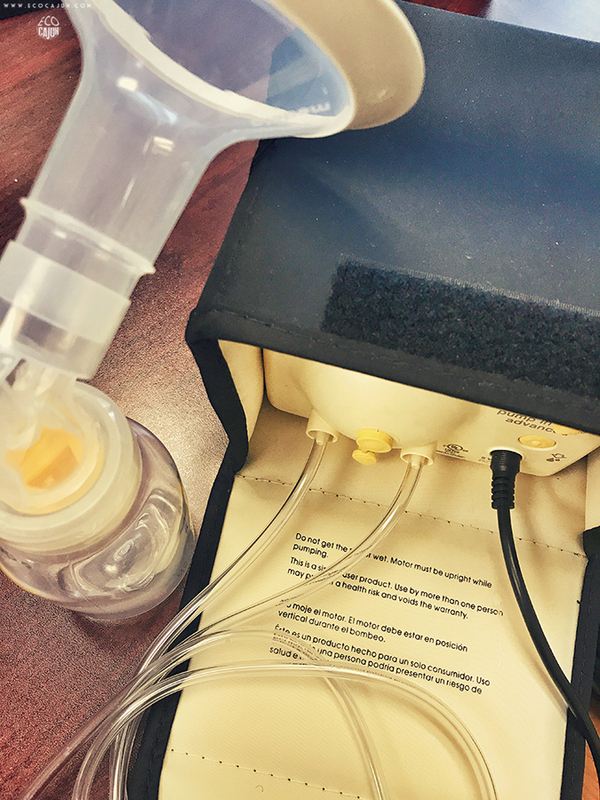 While it would be more budget friendly and less wasteful to take advantage of a secondhand breast pump, it's just not worth the risk to you or your baby. If you purchase a breast pump or are gifted one at your baby shower, don't open the box until you are ready to use it. As soon as the box seal is broken, you're unable to return the pump to the store, even if you don't take it out or use it. A friend who had been in that situation had an unused pump she couldn't return, so she gave it to me to use. It worked out that it was the same kind as the one I got through insurance, and I'm able to keep one pump at work and one at home. But recently, I came across the older model pump I have in storage, and got to thinking about what I'm going to do with it. Because of the risk of contamination, I can't donate it to nonprofits, but I'm not ready to just toss it in the trash can. I was very intrigued to find that Medela, one of the most common breast pump brands, has a pump recycling program! "Medela sends all eligible breast pumps (motors and cords) to a third-party processing center where they will be broken down and all recyclable parts will be recycled appropriately. Medela does not reuse donated parts for recycling for any manufacturing purposes." If you have a manual Medela pump, the company says the item cannot be returned through the program, but can be placed in your curbside recycling bin. In that instance, I would recommend contacting your local recycling provider to see if they specifically accept the item. Spectra, another popular pump brand, has some guidelines on accessories that can be recycled curbside, accessories that must be thrown out and how to recycle the pump itself through an appliance or computer recycling company. If you're planning to have more children in the future, you can put your pump in storage. Exclusive Pumping shares the steps to storing your pump and accessories properly, including sterilizing them, packing them up and storing them somewhere safe. You probably can use the same accessories/parts as well, but depending on the length of time between babies, you may want to get new ones. It's still not as wasteful or as expensive as getting another brand new pump.